April 27, 2015 / LIC Neighborhood / LIC Real Estate / Queens Buzz. Continued. I shot a few photos before sitting down. The audience composition has changed over the years. 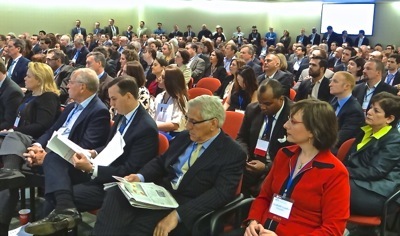 When I first started covering this event in 2010 the audience included a number of residents and small business owners, a significant number of local real estate professionals and financial folks [banks & finance companies], and a good measure of folks from across the river [Manhattan] who had taken - or begun to take - a more keen interest in the Long Island City real estate market. Fast forward to 2015 and the audience has grown considerably [possibly near doubling] and is now mostly comprised of real estate professionals and financiers. Anecdotally I'm going to estimate that well more than half of the audience now comes from Manhattan and represents most of the audience growth. The conference is also still attended by some measure of LIC property owners and / or their representatives, and there are likely still a few small business owners and residents in the mix. Ticket prices for the event have increased from $40 to $60, and in spite of the price increase, the event was still sold out. The LIC skyline reflects this growing cross-river interest, as building cranes are abundantly in view. The panel had begun. One of the panelists noted that prices in Long Island City had jumped markedly from about $100 - $150 per square foot [FAR] to about $300 per square foot. The panelist noted, that this is still significantly below the $700 per square foot [FAR] market rate in Manhattan which is only one East River bridge taxi ride or one subway stop away. 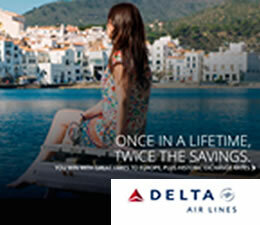 Hence the fast rising prices and continued competitive bidding on anything that moves. At these prices, the panelist observed, creating rental property is financially feasible. Currently about 75% of what’s either on the market or coming on the market is comprised of rentals. He went on to say that creating rental properties in Manhattan at the current FAR is nearly unfeasible at this point. Another panelist said that Brooklyn had paved the way for real estate development in the outer boroughs. The NYC real estate development path started in Midtown, worked its way downtown and then into Brooklyn. Now it’s here in LIC. And he was excited about mixed use zoning. One of the forum panelists observed that the current building stock was very useful because it had been constructed decades ago when they built things to last. Much of the building stock was designed to accommodate manufacturers, so the buildings have high ceilings, plenty of windows for sunlight and ventilation and high load carrying floors, so you can put almost anything in them that you would need today because equipment is so much lighter and smaller. They went on to note that the rooftops still have city views, which is nice – but that the pedestrian traffic on the street was still fairly sparse relative to LIC’s Midtown / Manhattan counterparts. In the photo at right, an example of a manufacturing building which fits the profile outlined by the speaker above. It’s worth putting the meeting on pause for a moment, as for potential retailers delving into pedestrian traffic is a key point. The question is whether and when pedestrian traffic will reach desired / sustainable levels for retailers in LIC, because building / growing to a Manhattan pedestrian traffic density will take many years - if not longer - at the current rate of development. This is particularly true when comparing LIC to Midtown Manhattan, which has no flow barriers. 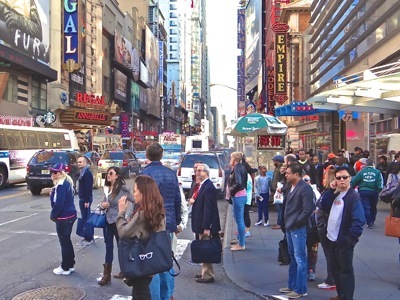 In the photo at right are pedestrians in Midtown Manhattan. Keep in the back of your mind the qualifier “at the current rate of development” as this is a key point, as you will see. We recommend following Queens Buzz special report series on Sunnyside Yards which is nearing or at about the halfway mark. As you know, LIC is located along the East River [no pedestrian traffic from the west] and is bordered on the south by Newtown Creek. Newtown Creek is a natural barrier to pedestrian traffic coming from the south in Brooklyn. But that said, there is a new bridge going up to replace the Kociuszko Bridge to the east, and they are modifying the Pulaski Bridge which is closer into the neighborhood. Both changes will facilitate traveling to and from the Greenpoint neighborhood of Brooklyn by cyclists and pedestrians. LIC is also further segregated from the rest of Queens by the sprawling roughly 200 acre Sunnyside Yards. The old railyard cuts off traffic from the east as there are only five traversals over the rail yards, and at present, they’re not that biker or pedestrian friendly. The last piece of the pedestrian picture is on the north, where there are a couple of very large public housing projects. 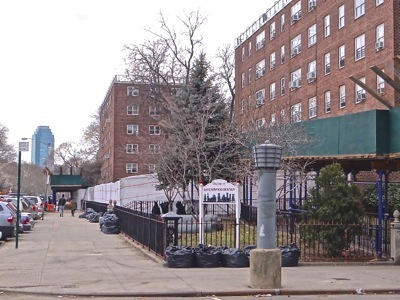 Queens Bridge and Ravenswood take up large swaths of land and, as they are public housing projects, which are generally occupied by low-income tenants. I’ve heard a number of small retailers lament about the lag time between increasing pedestrian foot traffic, and the unrelenting growth expectations for it. Some retailers have been able to make adjustments to adapt to slower pedestrian growth expectations by modifying their business models to capture unexpected retail opportunities, as well as by subletting space. Others have not been able to make the financials work and have either closed down or moved elsewhere. It's also worth adding that LIC is well located from a transportation point of view as eight subway lines pass through it, as well as 13 bus lines, and it is adjacent to the Midtown Tunnel, the Queensboro Bridge and not far from the RFK Triborough Bridge and LaGuardia Airport. 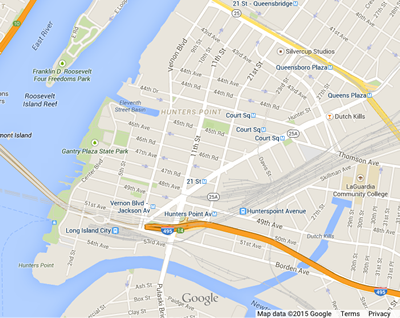 LIC is also only one subway stop from Midtown and the Upper East Side. 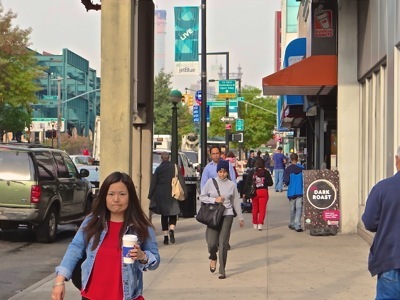 After the program, while discussing pedestrian traffic and the retail environment, one of the real estate professionals told me that big retail would happen because of the transportation connections and high income demographics flowing into LIC. For a prospective retailer, these are important factors to consider, and stay tuned to our Sunnyside Yard series for additional insights. But I digress. We now return to the meeting. 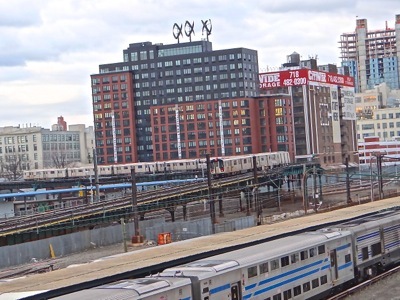 The conversation turned to Queens Plaza, in some senses the current epicenter of Long Island City as it is a significant transportation nexus. One of the panelists commented that some of the current ground floor retail space reflects early neighborhood development with small spaces for small retailers as evidenced by the ground floor of the Crescent Club. They went on to observe that there is currently a lack of large retailers in the area. The reasons, they opined, were that there isn’t a lot of big box ground floor space with parking. And large retailers are simply unaware of Long Island City. It was said, that the retail will follow as the residential population density fills in. Over the past year or two land prices rose [mentioned in the beginning of this report] from about $100 to $150 per square foot [FAR] to about $300 per square foot [FAR]. After the meeting I spoke to several people in the real estate business who told me that the FAR prices quoted for Long Island City in the meeting were on the low side of what they’ve been seeing lately. Someone said that at current land prices it’s difficult to build rental units at current apartment rental rates. And to build condos at the new prices requires ‘exciting prices’. One of the panelists told us that NYC building permits averaged about 32,000 to 35,000 per year between 2005 and 2008, peaking at 35,000 units. The the financial crisis hit in the Fall of 2008 and things went south for nearly every business worldwide. Between 2011 and 2014 there were 10,000 to 20,000 permits issued each year. And the background housing stock for NYC is about 3.2 million units. The point of these statistics is that there's plenty of room to grow in new construction of residential units in NYC. They then went on to talk about how Queens building permits the last few years [2011 - 2014] are running at about 42% of what they were in the 2005 - 2008 period, and for Brooklyn the same metric was 44%. Again, the gist of the commentary was that there appears to be room for new construction to grow. The conversation turned to Sunnyside Yards. One of the panelists noted that it is the largest parcel of unused air rights land in New York City and hence cannot be ignored. They opined that it would be developed and that it was just a matter of when and what. Piecemeal Development Or Visionary Plan? Another panelist said that it could be developed piecemeal by parcel instead of via a grand vision as outlined in Mayor de Blasio’s State of the City Address this past winter. They went on to say that there are many dimensions to a project like this as there’s Newtown Creek bordering the south of it, it would be built over an important transportation hub / rail switching yard, but in spite of this they were looking at real estate projects adjacent to the Sunnyside Yards. There was a bit of talk about manufacturing versus residential / mixed use zoning, but almost negligent versus just a year ago. And there was some talk about the affordable housing requirement of 20% or 40% for new buildings, but also very muted versus just a year ago. One panelist observed that how Sunnyside Yards is developed will depend on the community reaction to the ongoing growth in population density and the ability of the infrastructure to keep up with it. The forum panel then took questions from the audience. 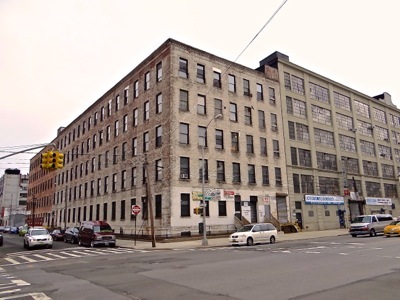 The first question was about plans for developing the Paragon Paint Building [large pea green warehouse in LIC] on Vernon Blvd just northwest from Sinks & Stones sink and tile store and only a few doors down from the LIC Bar on Vernon Blvd [see photo at right]. The Real Deal reported that the Paragon Paint Building had been purchased for $14.7 million and stood on about 33,000 square feet of land and occupied about 69,000 square feet of space [FAR]. 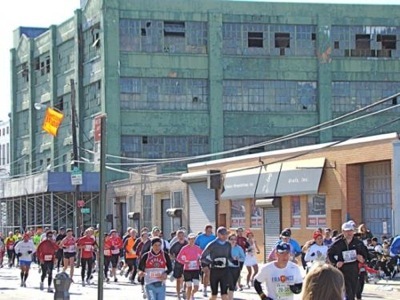 We were told that the Paragon Paint building development would attempt to capitalize on the proximity of the property to the waterfront, and that it would build upon the paint factory history, and that little more could be said. 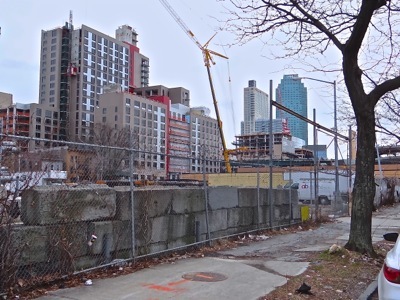 LIC Real Estate: Is Infrastructure Keeping Pace With Development? Somebody asked whether schools were in the real estate development plans, as more space would be needed to keep pace with the population growth. There was a brief pause of slience in the room. Someone said that the city was pushing hard to expand educational and healthcare facilities in the area and on other infrastructure to accommodate the growing population. They went on to say that 20,000 more units are due to come online over the next few years based on construction / plans already on the books or already in progress. Someone asked about ‘absorption rates’. This is basically about occupancy / vacancy rates. 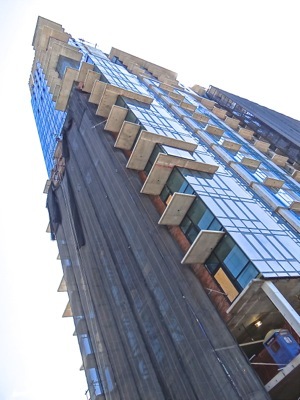 One member stated that they were “shocked” at the high quality and high interest by tenants for their building when they opened for rentals less than two years ago. They went on to note that their rents are 30% to 50% less than a comparable rental in Midtown Manhattan. Overall they said, New York City has a 1 – 2% vacancy rate and that Queens has a 3% vacancy rate. Overall in the nation the vacancy rate is about 4% which compares to 8% in 2009 when things went south. There was a suggestion that someone should build foot bridges over Sunnyside Yards. Currently there are five traversals over the roughly 200 acre site. Someone said they were looking forward to seeing Citibike set up in LIC. That was slated to happen last year, and is now slated to happen this year. What about branding the neighborhood LIC versus Long Island City? Nobody ventured to respond. Someone noted that it had been discussed and dropped a couple of years ago. One panelist said, “the Rangers’ defense”. An audience member next to me said, “the Mets’ pitching staff”. But on the serious side, one of the panelists said: “overzealous financing”. He went on to say that the fundamentals look solid, that the boom / bust cycles seem shorter, and that the last real estate recovery was strong. They said that in the last cycle, Manhattan rents skyrocketed 50% within a two-year period. They went on to say that they haven’t seen that kind of rental price spike in LIC, and that they didn’t think that LIC had been overbuilt. 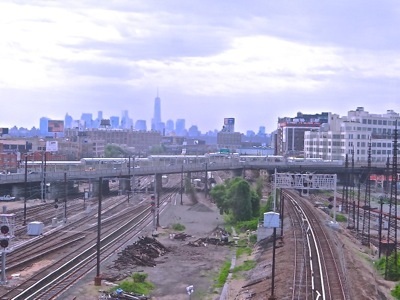 In Part II of our Sunnyside Yards series we note that one of the developers in LIC real estate market overbid for a Manhattan property by an estimated $3 billion prior to the last market bubble [mid 2000's], and subsequently defaulted on the bonds. In a future report, we look into what may have been another instance of overbidding - this time in Brooklyn. So far it appears that there haven't been any reports of significant overbids for property in the borough of Queens. And generally the real estate prices in Queens are generally much lower than those of the neighboring boroughs, although the differential has been closing. One panelist provided us with a brief history of NYC office space. He told us that during the 1960's through 1980's construction of new office space in New York City grew at the rate of 64 million square feet per decade. This rate of construction slowed considerably in the following two decades [1990's and 2000's] to 15 million square feet per decade. Since 2010, he told us, 11.5 million square feet of office space has been built. After the program I did a little follow up research. There's about 9.5 million square feet of new office space coming on the market by 2018 and there's about 450 million square feet of office space in NYC at present. The Real Deal and the NY Post were my sources. 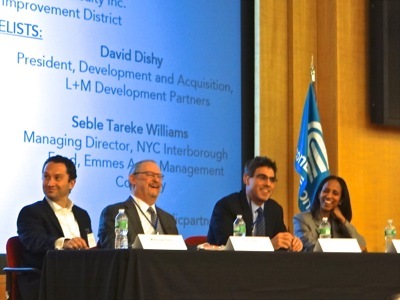 The panelist's point was that NYC is far from reaching the saturation point of office space. And after the program he also told me that NYC had lost 30 million square feet of office space downtown at the turn of the century, related in part to terrorist attacks and conversion of office space to residential. One speaker commented that building costs had been rising and if they continued to rise, could lead to a change in some of the real estate development financial calculations. 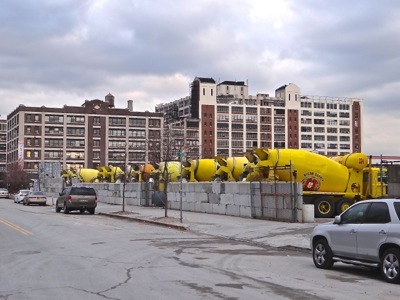 In the photo at right are cement trucks parked in a company yard near Long Island City in March of this year. Another speaker said that the business tenants they’ve been signing are of high credit quality. And that they were monitoring the percent TAMI [Technology, Advertising, Media & Internet] companies to whom they rent their space. After the meeting I asked a couple fellow audience members why they were monitoring the number of TAMI clients, they told me that they wanted to maintain a diverse set of tenant industries in the event of an industry or economic downturn. As you can tell it was a very informative session about the real estate market in LIC and beyond. Many thanks to the LIC Partnership for their organization of this program and to the Con Ed Learning Center for hosting it again. And to Elizabeth Lusskin, LIC Partnership President; David Brause, LIC BID Chairman; and the panel of experts who included: 1) Matthew Baron, President of Simon Baron Development; 2) Jon Caplan, Vice Chairman of New York Capital Markets Group of Jones Lang LaSalle; 3) David Dishy, President of Development and Acquisitions for L + M Development; and 4) Seble Tareke Wiliiams, Managing Director of NYC Interboro Fund, Emmes Asset Management Company. 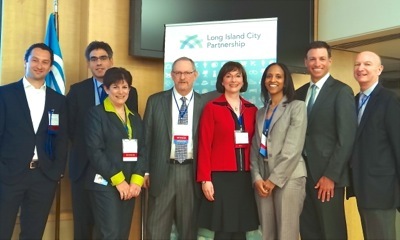 In the photo from left to right [most titles included in the paragraph above]: Matthew Baron, David Dishy, Carol Conslato Director Public Affairs Con Edison, Jon Caplan, Elizabeth Lusskin, Seble Tareke Williams, David Brause and Gary Kesner Chairman of LIC Partnership.